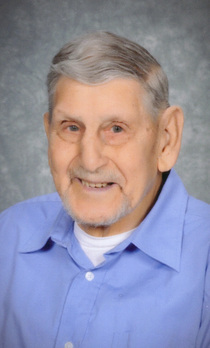 Richard J. Sexton, age 83, of Woodsfield, Ohio passed away Friday January 23, 2015 at his home. He was born January 19, 1932 in Senecaville, Ohio a son of the late Lee & Avis Cochran Sexton. He retired from Alside Inc. in Cuyahoga Falls, Ohio with 37 years of service, was a U.S. Army veteran, and a member of the Pine Street Church of Christ in New Martinsville, West Virginia. Preceded in death by one brother; Lee, and three sisters; Ida, Elizabeth, and Amy. He is survived by his wife of 44 years; Marie Reder Sexton of Woodsfield, two brothers; Bob Sexton of Ocala, Florida, and Dave Sexton of Bidwell, Ohio, and one sister; Naomi Ritchie of Clinton, Ohio, several grandchildren, great grandchildren, and nieces and nephews. Friends will be received from 1 p.m. until time of Memorial Service at 2 p.m. Saturday January 31, 2015 at the Bauer-Turner Funeral Home 100 S. Paul St. Woodsfield, Ohio with Craig Matheny officiating.